Innovent (Scotland) Limited was formed in 2005 as a result of a development of an innovative new product for controlling midges and mosquito infestation for the Scottish and world market. With around 20 years of expertise in Air Movement and Acoustics we developed and tested our product whilst filing for PCT patent protection. 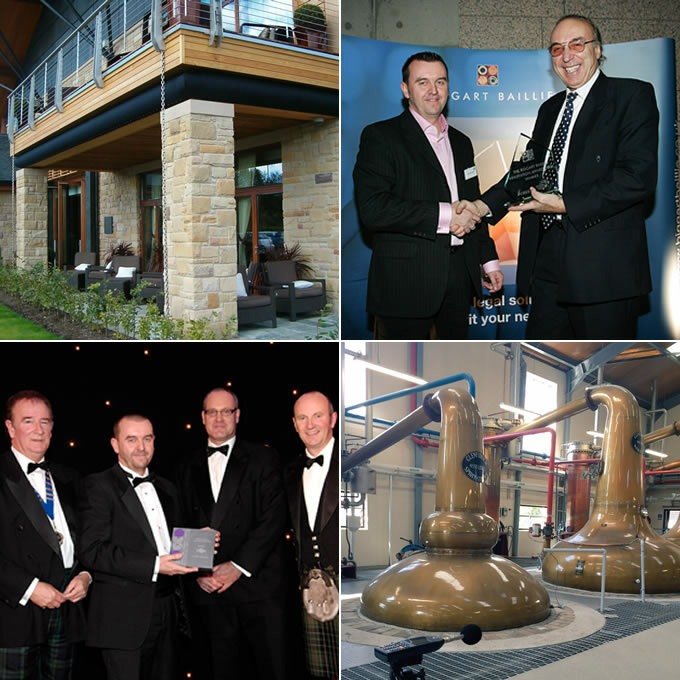 In 2006 we won the Biggart Baillie Innovation Award in association with the Glasgow Science Centre, for the most innovative product and idea in Scotland in that year. We then went on to receive interest and develop our product for MOD applications. We are currently supplying our midge management products and offering consultancy all over Scotland and we were delighted to have been involved in the Carrick Spa and Golf resort at Loch Lomond for De Vere Group (pictured opposite). Our core business and background is in the design, supply and installation service we offer for our range of Acoustic, Air Movement and Natural Ventilation Systems. For these products and services, please refer to our HVAC Section. Based in Scotland and providing solutions for perennial Scottish problems, we are a small, innovative company who pride ourselves in our ability, professionalism, service and quality.